CO2 is an important parameter in research and industries, from assessing culture conditions to measuring pCO2 in sea water to investigate ocean acidification. 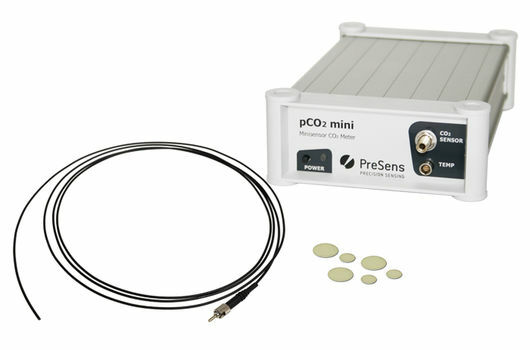 With various CO2 sensor designs and a compact fiber optic CO2 meter, or 2-dimensional CO2 imaging PreSens can offer an optical CO2 measurement solution for various applications. In order to ensure stress-free cultivation conditions pCO2 needs to be monitored and controlled especially in cell culture. But also in bacteria and yeast culture the fiber optic CO2 measurement systems by PreSens offer a convenient solution, as continuous carbon dioxide monitoring and control can be conducted without sampling. Due to the small sensor size and the possibility of non-invasive measurement through transparent vessel walls, optical carbon dioxide measurement systems are ideally suited for culture monitoring in small-scale cultivation vessels, e. g. shake flasks or cell culture flasks. Flow-through cells with integrated CO2 sensor even allow perfusion monitoring in bioreactor bypasses. Our optical CO2 measurement devices are suited for culture monitoring applications from microliter- up to production-scale. 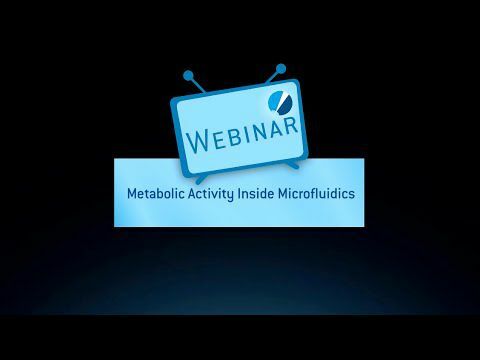 Combined with non-invasive O2 and pH measurements your analyses will profit from online optical carbon dioxide monitoring, whether it is in bioprocess development, or simply following metabolic activity of microorganisms and cells. whole area of the sample surface or a cross section, and can also be used for contactless measurement through transparent vessel walls for carbon dioxide control in most different cultivation vessels. The information about CO2 distributions over whole area can give valuable information when assessing engineered tissue culture, microfluidic chips or monitor CO2 in perfusates for tissue and organ transplants. 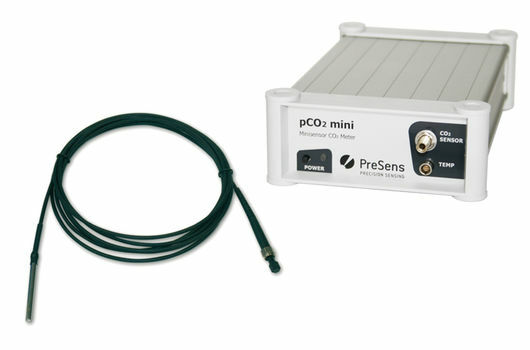 Together with our oxygen and pH measurement devices, online optical carbon dioxide measurements give valuable information about ongoing processes. Especially in times of climate change CO2 is an important parameter to monitor. As our sensors are meant for measurements in liquids, they can ideally be applied for experiments in sea water e. g. ocean acidification studies. Invasive probes with stainless steel fitting can directly be inserted in liquid samples and pCO2 concentrations can be assessed in no time. 2D visualization of CO2 gradients with our carbon dioxide imaging system can give whole new information in many applications from animal and plant physiology to experiments in sediments and flume chambers. 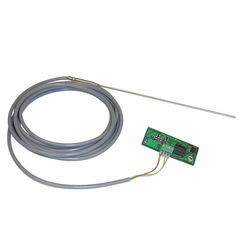 Furthermore, customized fiber optic CO2 measurement devices are offered, so PreSens can deliver you the sensor solution you need.